First off can I just say to writers who give advice like “The first rule of writing anything is…. (Wait for it!) To write.” Okay, first off I know what you are trying to say but if you do not dive into detail of HOW TO WRITE people will look elsewhere. So to all looking for advice of how to write all you must know when you are looking for writing advice is…. Don’t go looking for mediocre writers advice, they have no idea what they are talking about or don’t go into detail, these people will not help you publish your work. Sorry about the rant, back on with the question. To be both, a writer and psycho is quite a challenge at times. I’m on meds so sometimes I am too spaced out to write and others my brain goes haywire and wants to write in my own blood, so I quit before I start. I know I want to be a writer so I try my hardest every day. I look at what I write as I job I must complete, if I look at it as fun my words will not come across as serious I want them to. If you look at prior posts I have publish on WordPress you know within a matter of months I have out written most “run of the mill” writers, so already I know I can keep up. But I know as a writer and a blogger that people on the internet do not want to sit and read a 5,000 word piece of fiction when they can go elsewhere and find other forms of entertainment. So what I tend to do is write very short flash fiction, this not only give the reader what they want is a smaller form but also gives me a challenge to write a huge story and squash it into perhaps 1,000+ words. Also I think of some weird things which will make you think “Where does he get his ideas!” What can I say, man, I’m awesome that way! Darken your pen and nightmares will come to life. I am a God that creates the evils of beauty and sometime with a flick of my wrist I show distorted images I see when I look into my mirror, I am an artist that works with ink and jagged-edges for your pleasure. The pain I have lived will echo a smile upon your face, my job is done. I am my own worst enemy; shoot to kill and write in blood. I write the word flower and my petals will cut through your very soul, you will know me as a writer. Have faith my pen using friends. P.s. to the motherf*cker who keeps on sending me emails saying “Hey, I know Stephen King, he wants to read your fiction, for a small fee, I can help.” Can it! 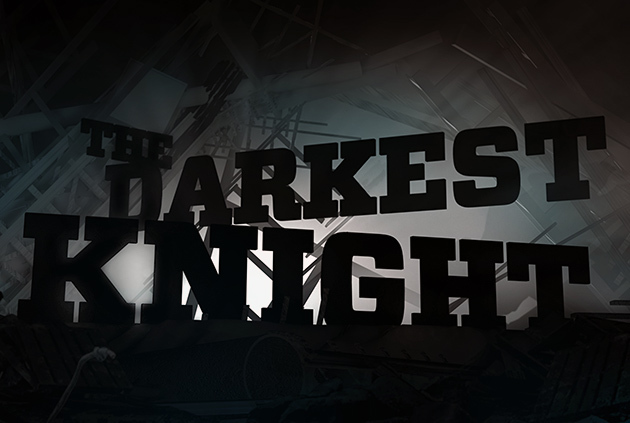 So this is me signing off as The Dark Night Writer! Tiny Windows Interview. Chris Allinotte talks about Days of Madness. Thank you! It’s awesome to be back. I think in some way I have to find my feet again because when I was gone I lost a lot of ground and also a lot of followers. But I will regain all again. Thanks for the support! Very nice advice. And I really like how you write and choice of pros! The idea of short flash fiction is interesting to me, but I’m more of a novel and serial type of writing. Even short stories feel incomplete to me, but can compromise to making short novels or novellas.